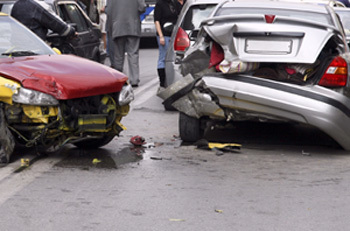 Regardless of who is at fault, everyone involved in a car accident has certain rights. Most importantly, addressing medical issues immediately is the primary concern after any accident. Every accident victim is entitled to proper medical attention after an accident, and seeking a medical assessment for even minor injuries after an accident could prove legally beneficial in the long run. With the new (Florida PIP), Personal Injury Protection law it states that you have 14 days to seek medical care, if you do not seek medical care within the 14 days then you will no longer be covered by your insurance company for your medical bills and missing income from being unable to work. If you have any complaint on the 15th day then you have to pay the medical expenses out of your own pocket. For many reasons, those involved in any type of car accident should consider seeing a doctor as soon as possible for an assessment, even if they feel uninjured. Immediately following a car accident, many seemingly minor but significant injuries that need treatment may not be apparent. High adrenaline levels that occur after an accident can mask many symptoms and pain; it’s the body’s natural defense mechanism that helps us get through emergencies, even if we are injured. After the body has calmed and is rested, aches and pains often reveal themselves and inflammation around sore spots can indicate injuries that were not apparent just hours before. To be on the safe side after a car accident, consulting with a doctor even if there are no obvious symptoms. A chiropractic examination can ensure the diagnosis of injuries that might not be apparent. At Chery Chiropractic Center, we can help. Learn more about our approach to auto accident injury care.